This post will discuss the technique of carving files from unallocated disk space. "Carving" simply means extracting a specific section of bytes from an area of disk space; ideally those bytes make up a complete file. You can carve any kind of file, but in this post we will specifically address how to carve RAR archives from unallocated disk space. Why RAR files? In many of Mandiant's investigations of targeted attacks, an attacker will collect data and compress it into a RAR archive prior to taking it from the targeted network. Advanced attackers go a step further and attempt to hide their tracks by deleting the archive tool, the archive itself and other artifacts we will discuss in future blog posts. What can you do when the attacker deletes the archive? In our example case, we know the attacker executed "rar.exe" a.k.a. "WinRAR" because the evidence contained a prefetch file named "RAR.EXE-12F2DC4F.pf". At this point, the easiest investigative step is to search for files with the extension ".rar" or - even better - conduct file signature analysis in the event the attacker changed the file extension. If you don't find any files, does this mean the attacker executed WinRAR just for fun? Most likely not. Since we know the attacker used WinRAR, but deleted the resulting files, conduct a search for RAR file headers in unallocated space (the "deleted" files graveyard). A "file header" is the signature placed at the beginning of a file. Most RAR files start with the ASCII characters "Rar!···" or "52 61 72 21 1A 07 00" in hex. Older versions of WinRAR may create files with different values in the last three header bytes. To reduce false negatives, it's best to search for "52 61 72 21" or "52 45 7E 5E" to find older RAR formats (see Forensics Wiki). In this case, we will conduct a search for "Rar!" in unallocated space and find a section of the disk that looks especially interesting. As with any keyword search, be careful of false positives! Some antivirus vendors, such as Symantec, use RAR files for signature updates. There may also be false positives due to the random nature of the data in unallocated space. To help counteract the false positives, you can narrow search results by identifying the position of the header in the data cluster and/or the composition of the data after the header. The position in the data cluster is important because when a file is created on disk, the beginning of the file will be at the start of the data cluster. Data clusters are a portion of logical disk space allocated for a file. Notice the data in Figure 1 is condensed, which is expected for an archive file. If the composition of the data after the header is condensed and randomized, this offers more evidence that the search result is a legitimate RAR file. Compare Figure 1 to the result in Figure 2 below, which has partial cleartext and breaks in the data. The result in Figure 2 is not a valid RAR archive. Once a legitimate header is identified, carve the data from unallocated space starting with "Rar!". Since a RAR file does not have a footer, or a defined end of the file, we have to guess the size. A raw view of the unallocated space may help visually define the file size. There is normally a clear demarcation at the end of the RAR file, a "RAR end" if you will, as shown in Figure 3 below. If you have no idea of the file size, 5MB is a good size to start with; but you will most likely have to increase or decrease the size until there is no more contiguous data or the data is overwritten/fragmented. EnCase or FTK can be used to manually export the data, or free tools such as Foremost or Scalpel. FTK also has a built in capability to automatically carve files based on a defined header and/or footer. Once the RAR file is carved out, you can open it with your favorite file archive tool such as WinRAR, 7-Zip, or WinZIP. If you are unable to open the file, try carving files with different sizes. Bigger is usually better; a valid RAR archive generally won't open if there is too little data rather than too much. If the file is a legitimate RAR with enough data, you should be able to extract the archive (even if it's a partial file). In this example, a password prompt appears. Now you know this is an interesting file! How can we find the password? Your chances depend on several factors, such as the age of attacker activity, level of general activity on the system and size of memory. If you are lucky enough to have a memory image, you can search the strings in memory using a tool such as Mandiant Redline™. Otherwise, you can search unallocated space and the Windows pagefile for WinRAR command line switches such as "-hp". This switch enables the creation of a password protected archive. After removing the inevitable false positives, your results will look similar to Figure 5 shown below. The Windows pagefile shown in Figure 5 also retained a directory listing of potential files that were in the archive. This shows you can still glean information from RAR command searches even if the RAR file is unrecoverable. 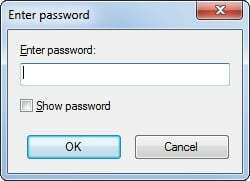 If the password search doesn't work, you can try to crack the password using brute force or dictionary attacks. However, if you are not the NSA, you may have limited success with this. Worst case scenario, if you can't find or crack the RAR password, remember the ultimate goal: to determine what is inside the archive. Following are four ways - with brief explanations - for how to retrieve additional information on what was inside an archive. If you are fortunate enough to have a prefetch file for rar.exe, that may show accessed files. The prefetch file contains a large amount of data, such as first and last run dates, path to the executable and accessed file. NirSoft's Winprefetchview is a useful free tool you can use to extract prefetch data. What if there is no prefetch file? You may be able to determine whether RAR was executed if a "WinRAR" directory is present on the file system. The default directories are "%APPDATA%WinRAR" on Windows XP and "%APPDATA%RoamingWinRAR" on Windows 7. Depending on the version, WinRAR may create this directory by default when the program executes. If you're lucky enough to have this evidence, you can create a timeline around the creation and modification dates of the "WinRAR" directory to find corresponding files of interest. Windows creates "shellbags" when a user logs into a system locally or interactively. They track information for Explorer. A helpful attribute of Shellbags is that they track previously navigated directories, even deleted directories. So, if an attacker gathered information in a staging directory prior to compressing into a RAR file, you could potentially see that directory in Shellbags. Willi Ballenthin created a nice python script to parse Shellbags which can be found here. Internet Explorer not only records Internet browsing, but internal system navigation as well. If an attacker was logged on interactively, the IE history could reveal the targeted files. Attackers are aware of this and will delete internet history, especially on an account that is not used frequently. By the way, you can also carve deleted internet history, but that's a topic for another day. These four techniques are just the first step. You may need to create and search for additional keywords, conduct timeline analysis, or even analyze an entirely different system if the original location of the targeted files was external. 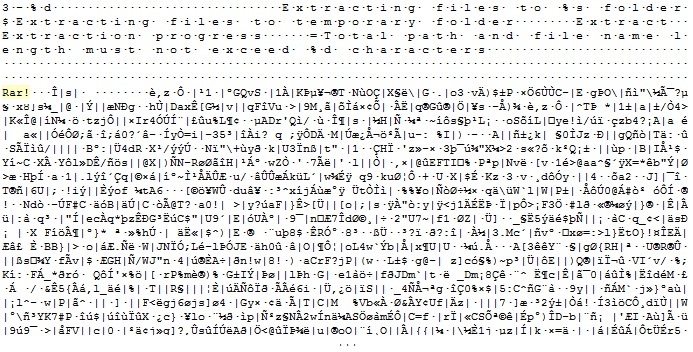 If you would like to practice carving different types of files, including RAR files, NIST recently released forensic images intended for testing file carving capabilities of software, http://www.cfreds.nist.gov/FileCarving/. There are many file carving tools out there, so if you have any recommendations, feel free to direct message me on Twitter @marycheese.